2019 projects will total $175 to $180 million, up markedly from last year. Vail will release more details about its capital plan in March and I’m hoping a few lift projects get added. The approved Golden Peak T-Bar and Game Creek Express upgrade projects on Vail Mountain were noticeably absent from today’s announcement. Nearly all of Vail’s resorts are enjoying plentiful early season snowfall and Epic Pass sales are up 21 percent in units and 13 percent in dollars compared with last year. Vail now has more than 925,000 season passholders, making lift capacity even more important in the years to come. Stevens Pass trail map from last season. For the northeast this is pretty underwhelming…. A couple of base lodge make overs for Okemo, otherwise nothing new. I can understand them wanting to get a bit more time operating Okemo and Sunapee, but I thought Stowe might get a new lift or two…. 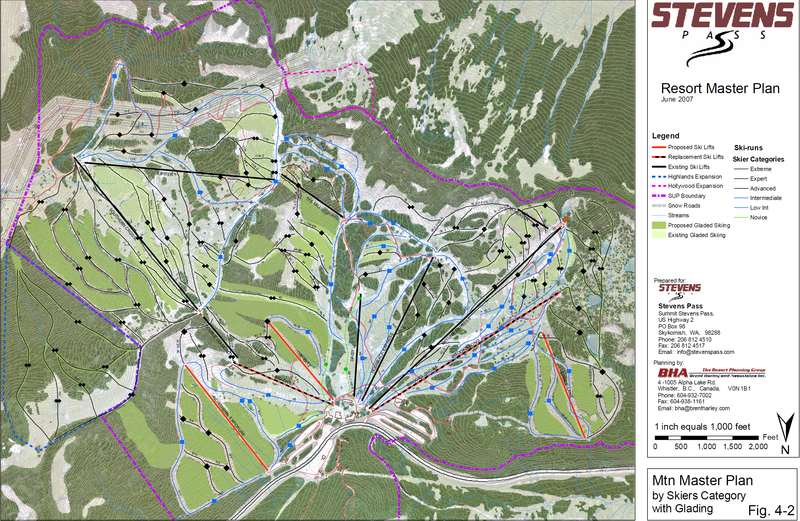 Hopefully they will at least do the lift replacements already planned for Sunapee, which involved repurposed lifts, as that shouldn’t cost them much. Time for a lookout express at Stowe. Why, what lifts do they have at Afton? Wow.. what years and makes? 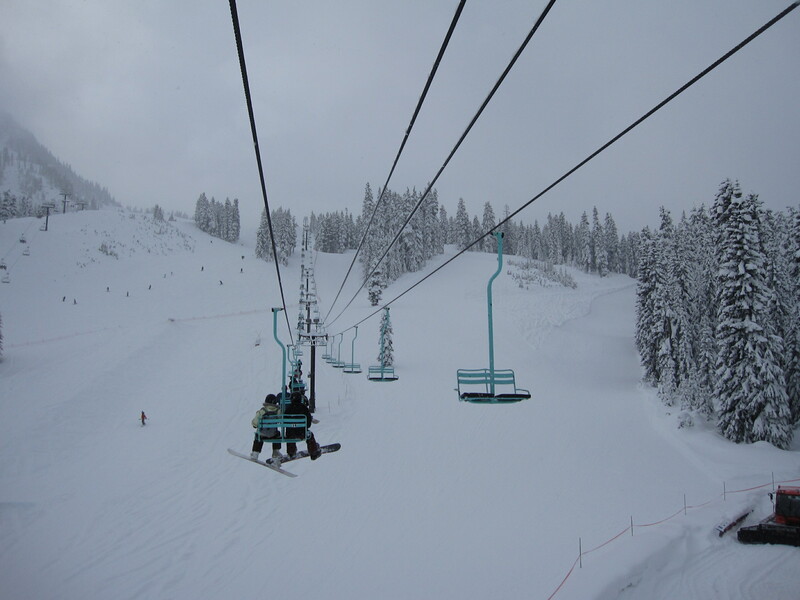 Do you think Vail would replace the Brooks Lift with a DC 4 with the same capacity or a new 2 or 3 chair? I read the press release to mean they are spending $7 million combined at Stevens and Okemo next year. That suggests to me two fixed grip lifts. I hope I am wrong. Still leaves $28 million for 2020 as part of the two year commitment at the four new resorts on top of $6 million in integration costs. I expect more details from Stevens later today. The corporate release went out at 3:45 am Pacific! I do think they need a High Speed quad there. Have any manufacturers been announced yet? No. The 2012 master plan had two options for Brooks. “Brooks Long” would be a 4,400′ high speed quad in virtually the same location as the current double. “Brooks Short” would be a triple in the same alignment but end about half way up. With that option, a new traverse would be constructed from the top of Skyline to the top of the current Brooks lift. It’s over all their resorts. Wow their stock is down 20% today. I guess the market doesn’t understand all the lift spending. I wonder if the Brooks upgrade will be followed with some trail expansion in the grace lakes area. Today’s decline in the stock price is more related to a quadrupling of the quarterly loss from the year ago period and the overall volatility in the market. I understand this is correlated with lift spending, but it still wiped out $1.7 billion of market value in MTN stock. I’m pretty sure that a lot of that loss comes from fears of the current Chinese situation bringing about another recession. There’s always a chance for more. In the last five years, a few lifts have been announced outside of the December earnings release. Namely Red Buffalo Express and the Wilmot lifts. Sounds like Alterra will wait until March for the rest of theirs. Wilmot’s lift were announced 2 months after the purchase. Looks like all the Halls at Afton have been well upkept since that purchase. You think maybe they’re holding off to steal Alterra’s thunder or just align their announcements so one doesn’t get too much off-season hype from a later announcement date? Brooks will be a high speed quad and Daisy a fixed quad. Score for Stevens! Can we assume they’re going with the long version then? 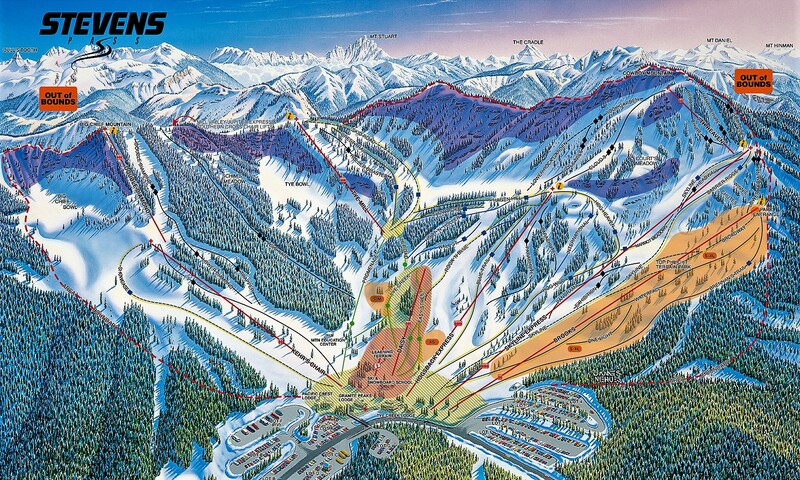 So vail is only building two new lifts this summer? I bet we’ll see more. I’m wondering how much their technology plan is costing. They did hire a new CIO in October (promoted from within)…. I was at Okemo last week standing in a long line at the ticket window waiting to buy a Ski with Friends ticket and thinking: ‘I should be able to do this online’ – and lo and behold, that’s one of the things they announced. For Whistler Blackcomb apparently 50 millions of the 180 million goes to whistler. Rumours about moving franzs tripple to replace horseman t-bar.